🍂🍂💫RongWorks Hand-painted Design Studio💫🍂🍂 Hand drawn|Fiber Artist [Collection of commemorative pet three-dimensional wool felt] Size: 15x15 Material: 100% Australian wool Production method: Flocked needle felt technology Contents: Wool Felt Pet +15x15 Photo Frame ⚠️ ⚠️ ⚠️ 卖 卖 👈 👈 客 客 客 客 客 客 客 客 客 客 客 客 客 客 客 客 客 客 客 客 ⚠️ Customized three-dimensional wool felt Please provide multiple photos at different angles to provide more fine-grained production! The number of work days completed will depend on the degree of difficulty in the photo. 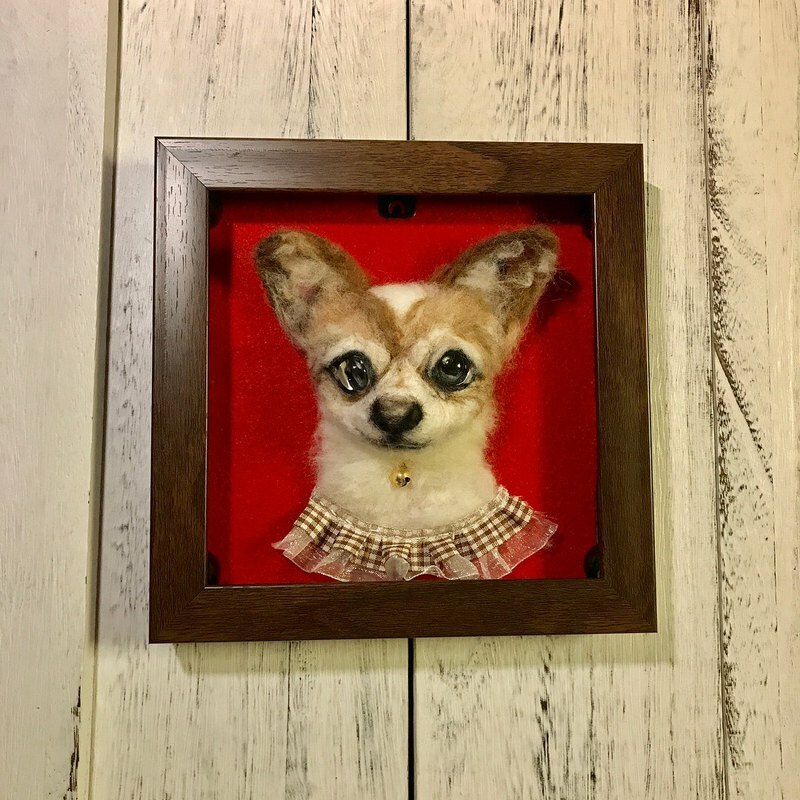 Please refer to the following design information ------------------------------------------ RongWorks hand-painted design studio Hand drawn|Fiber Artist a girl who likes to paint He is good at painting realistic and detailed styles of pets, and his style is close to real feelings. 👉 R&D pioneered the creation of [Semi-Fabric Wool Felt] pin felt technology, which uses a combination of lines and lines to highlight the three-dimensional appearance. ---------------------------------------- Order note Customization orders are not included in the 7-day appreciation period. The character series is currently not open for drawing. After the single payment is completed, the production will be started and sent in accordance with the days of production. 🌀General custom service completion workday 🔸 Pure hand-painted series: 5-7 working days (⚠️ does not include 6-day holiday). 🔸 Three-dimensional/semi-dimensional wool felt: 15 to 20 working days (⚠️ does not include a 6-day holiday). ⚠️ The price on the web page is the price of the item on the direct purchase webpage. For customized services, please send the photo message to the top of the page. You will be quoted separately to open an exclusive store order and do not directly subscript. 排 Orders are ordered in the order they are placed. Please use the message to ask for the completion date. The urgency clerk will charge another rush order fee. A message is required to ask the designer whether an urgent order can be arranged. -------------------------------------------------- ----- Welcome custom | birthday gift | commemorative gift | pet series One stroke and one hand draw a unique sense and three-dimensionality in a hand-painted design. Do you like this hand-drawn temperature? ! 🔆 hand-painted series: handmade painting, I want to make my own work feel that there is a sense of temperature, more realistic three-dimensional, the uniqueness is not the outside, so insist on using pure hand-painted display, different from the general The printed products, hand-painted canvas series are made of waterproof paint fabrics, and the colors are more vivid. My style is more realistic and realistic, and many guests will take their pets' photos to customize the products or Gifts. 🔆 Wool Felt Embroidery: Made of Australian 100% wool, made from line and line felt felt technology, making the work look three-dimensional.